Remember that day it reached 36 degrees in London? The hottest July day on record? Well, we decided the best thing to do on a day like that was to get in the car and drive for three hours with two small children. Actually, everyone was in good spirits in the car, the heat didn’t seem to bother the kids, and I love love love hot weather like that… I really should be living in a country with a better climate. We were on our way to Walberswick, where we had a family holiday planned with Sam’s parents and siblings. Walberswick is a quiet village on the Suffolk coast, a part of England that was new to me until our visit. A couple of pubs, a village green, the beach, and a crabbing bridge make up some of Walberswick’s most known sights. Over a thousand acres of heath and marshland surrounding the village are protected as an area of outstanding beauty, lending Walberswick a very secluded feel, perfect for those who enjoy long walks and wildlife enthusiasts. To Sam’s delight, Walberswick is right next door to RSPB Minsmere (of Springwatch fame). Walberswick is a pebble beach. As much as the boys love building sandcastles, there’s just something about a pebble beach that mesmerises them. If I left them to it, I really think they could throw stones into the water for hours. For a change of pace, you can hop across the River Blythe via the row boat ferry to the Southwold side. Here you are a fifteen minute walk from the centre of town and it’s seaside shops. I may have sampled the peanut butter ice cream from Beaches and Cream more than once. An absolute must-do if you are visiting the area is a meal at Sole Bay Fish Company. We had lunch in the patio garden one day during our trip, which resulted in unanimous agreement from everyone in our group that it was the best fish and chips we’ve had to date. Sam and I have been to Rick Stein’s in Padstow, and of course spent our uni years in at the seaside in Brighton where many a fish and chip dinner on the beach were eaten, but I have a feeling it would take a lot to beat Sole Bay Fish Co. in our eyes now. We stayed in a house right on the village green. There was a little playground just metres away, which Arlo will tell you was great for impromptu pyjama-clad trips to race matchbox cars down the slide. Decor-wise, there was a different pattern in every room, which my camera and I enjoyed immensely. We had a mixed bag of weather during our stay, as you can see from my pictures. I’d say rainy weather does kind of hamper most activities in Walberswick itself, however, you are only a short drive away from many rainy day options. During our bad weather days, we toured St Peter’s Brewery (Sam’s choice – of course), and Framlington Castle. Neither of which is massively geared towards younger children, but both of which were easily do-able in under an hour and a half. 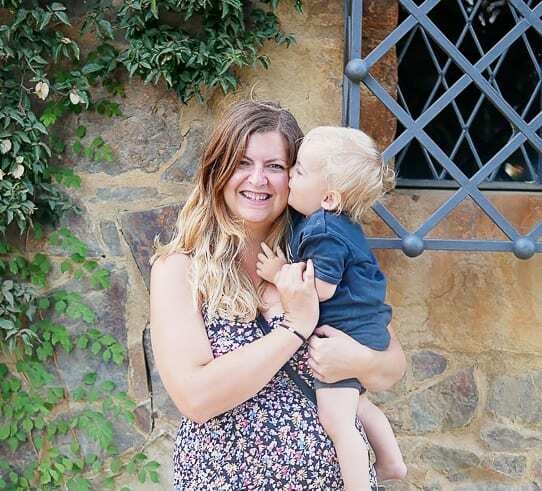 Although he cared little for the exhibits, Arlo LOVES a castle – exploring the ramparts and running races in the grounds were one of his holiday highlights. On our last day, we drove the thirty minutes to Aldeburgh. Before visiting ourselves, I’d noticed this name cropping up quite a bit in recommendations for a seaside retreat. It seems quite a few of my fellow South-East-Londoners-with-families have a soft spot for this little place. We only had a few hours to explore – in this time my main observations were the pretty painted seaside houses, and a definite mix between the “old town” vibe of the seafront, and the glossy shopfronts of Joules and L’Occtine one street back. Such gorgeous colours captured! You’ve really made this location look appealing and I’ve already googled how far away we are (quite far), but it is going on my if in the area list. It wasn’t somewhere on my radar before our trip, but Sam’s parents had been before and liked the area. It’s great for a quiet, uncomplicated trip. GORGEOUS captures as always. I love absolutely everything and badly want to go to Walberswick now. Thanks Amber! It was a nice trip. It’s definitely good for a simple, easy, family break. Gorgeous pictures. I know what you mean about a pebble beach. We’re planning on visiting one soon to collect pebbles to paint. Cherry in particular just LOVES collecting – sticks, shells, pebbles, you name it. I think her head might actually explode on a pebble beach. Ah, she’ll love it! Endless ‘collecting’ opportunities. Yes, it felt very quiet and peaceful to us. We didn’t visit Thorpeness, but we did have fish and chips in Aldeburgh on our last day! What stunning photos of a delicious part of the world, loved reading this! Thanks, it was a very photogenic trip! We had a great family holiday in Southwold, love that whole stretch. This post brings back lots go good memories. Thanks Gemma, it really is a lovely stretch. I’d love to go back and explore more one day. Wow what absolutely stunning photos! Just beautiful.